Once filled with numerous industrial plants and little residential space, Emeryville is best known today for its bountiful live-work lofts, artist studios, and creative companies. Emeryville lies on the east shore of San Francisco Bay between Oakland and Berkeley. 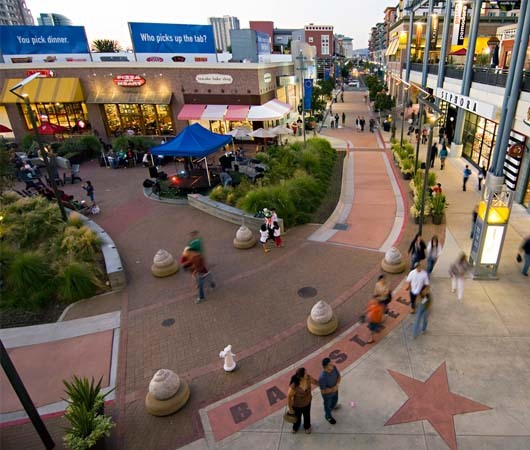 Thanks to its close proximity to Oakland and San Francisco, its location makes Emeryville a desireable place to live, work, and shop. The city is named after Joseph Stickney Emery. A stonecutter by trade, he managed quarries, supplied stone for the U.S. Mint, and supervised the dredging channel project for ferries traveling between San Francisco and Oakland. In 1859, Emery bought a 185-acre tract and built himself a stately mansion at the corner of Park Avenue and San Pablo Avenue, which is still visible today.